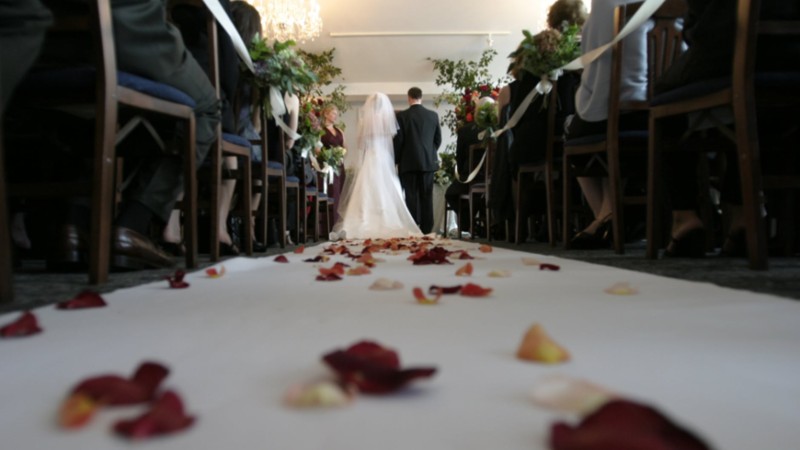 Nothing captures the emotion and sentimentality of a wedding quite like a processional. Seeing the bride walking towards the altar can induce anyone to tears – that is if the right song is played to that effect. Sure, using the ages-old Bridal Chorus by Wagner Lohengrin is considered a staple even by today’s standards. But if you want to give your wedding a more modern appeal, you will need to play songs that many people can relate to. Of course, we’re talking about songs that lyrically captures that very moment when bride and groom turn whole. So, aside from getting great event rentals and preparing the final guest list, let’s look at the songs that should accompany the bride as she slowly journeys down the path of lasting love. This is already a no-brainer. We can just imagine thousands of wedding processionals set to the tune of this tear-inducing ballad ever since it hit Spotify and YouTube. It has everything you need in a song that basically talks about “falling in love” not at first sight, but at eternity’s end. Regarded as a classic, “Thinking Out Loud” is a song you wouldn’t want to drop from your playlist. Who couldn’t say no to anything Eric Clapton writes? The man is very much capable of describing any sort of occasion with just a guitar and a penchant for effective storytelling. It’s no wonder that “Wonderful Tonight” makes for a great wedding song, simply because it’s structured to focus on the bride and the way she makes her groom feel. Playing this song will definitely give a feeling of intimacy that no one else around can capture. Ah, the 90’s. Aside from Wonderwall, of course, the era was defined by music that’s either too extreme or too sentimental, but in a good. Although originally performed by Mark Willis, the song got its prominence through a rendition by 98°, one of the most popular boy bands at the time. The vocals are as smooth as a dove’s feathers (whatever that means) and they go perfectly with each step the bride takes. In this sense, any R&B track should do, but this track is just something that’s really close to perfect. And anyway, it gets its title from that resounding vow the couple exchanges, so that makes “I Do” even more a wedding song for the ages. Whether you love the novel and film saga or not, it doesn’t matter. This song is pure emotion put into words. Written specifically for the Twilight Saga: Breaking Dawn Part 1, its lyrics were purely made for couples who have stood the test of time and weathered numerous challenges altogether. It’s as if it signifies the culmination of all these challenges as the bride walks even closer to a future that’s bright and nowhere as bleak as the film saga’s shooting locations.